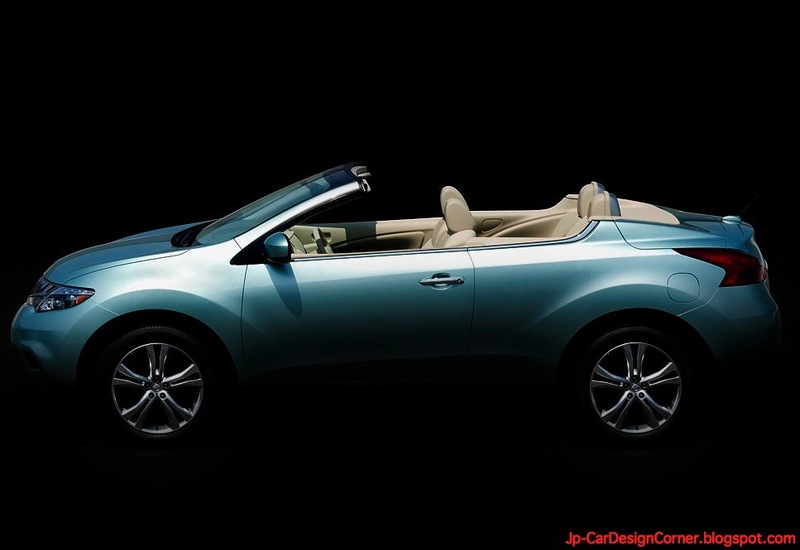 I really like the Nissan Murano, which is part of Nissan's Premium Factory range in Japan, but I never believed that a cabriolet version would go into production. It seemed so strange to me. Anyway, the new Murano CrossCabriolet is real and it will be presented at the Los Angeles Auto Show with sales starting in the US at the beginning of 2011. No plans for Europe yet and nothing has been said for Japan either. According to Nissan, "The world’s first all-wheel drive crossover convertible, delivers the open-air exhilaration of a convertible while extending the versatility of the Murano in exciting new ways. With room for four adults, space for golf bags or luggage (even with the top down), and a premium level interior, the Murano CrossCabriolet represents a breakthrough in concept and design. Set to go on sale in early 2011."